Kelsi Robers hails from Northern Georgia in the United States and is excited to begin her career as a middle school teacher. Whilst her Monday to Friday adventures might slow down, her father inspired her love of the outdoors at an early age that will ensure her journey in the outdoors is far from over. 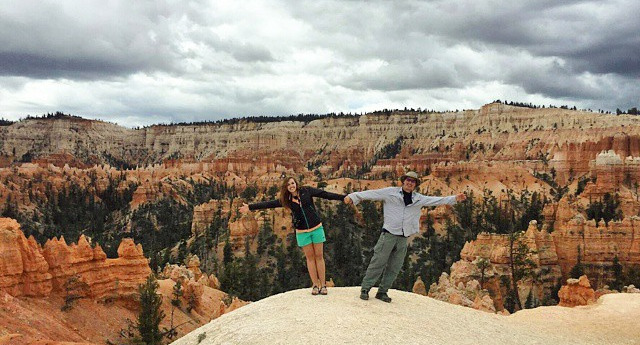 "We fell in love with backpacking and hiking at the same time and it became our thing to do together. Participating in outdoor activities led to me living a healthier lifestyle, which caused me to love it even more. I also was simply drawn to the outdoor community - people who were adventurous, passionate, determined, and who always lived life to the fullest." She remembers seeing the adventurous type when she was a youngster and would think to herself "I want to be more like them." Her most recent adventure companion is her boyfriend that is continually encouraging her to follow her passion and engage in as many outdoor activities she can. "He is also there to go new places with me and is willing to go on any adventure I can come up with." This selfless and lion-hearted young lady chose to be a teacher because she wanted to help make a difference in the lives of those younger than me. To be a positive role model and help ensure the next generation will be as prosperous and passionate as she is. We know that Kelsi is going to make such a profound impact on so many young peoples lives! "Adventure is exploring in a way that pushes you out of your comfort zone. It is going out and doing something most people would consider crazy, but something you absolutely love. It is something that leaves you happy and with a feeling of accomplishment and excitement." "To me, supporting this is giving me an opportunity to make a difference in the lives of those I would not be able to without this organisation. It means being connected to a community I would not know about without thisworldexists."